There's no shortage of different literacy methods, including the whole language approach to reading. Want to know if this reading strategy is right for your child? Get the facts on the whole language approach and its pros and cons with this review. What Makes the Whole Language Approach Stand Out? Also known as balanced literacy, the whole language approach is an educational philosophy that teaches children to read by using strategies that show how language is a system of parts that work together to create meaning. While it may sound as if the whole language method discounts phonics as a way to teach reading, the use of phonemic awareness (or sub-lexical reading) is one of the components of the approach. The whole language philosophy also teaches students to recognize core words as a single word instead of having them sound out all words phonetically. 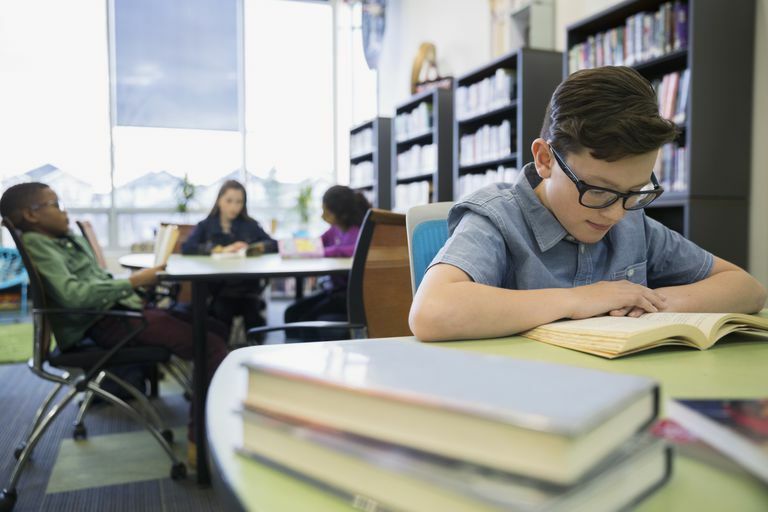 In a nutshell, this approach uses literature as a teaching tool and aims to integrate literacy within all parts of the curriculum (including science, math and social studies). In addition, the whole language approach encourages students to use reading and writing for everyday purposes, such as making a list or leaving a note, rather than just to decode words and text. Some scholars have suggested that the whole language approach has disadvantages for early readers. Specifically, they have suggested that students who are taught to read using the whole language approach may have difficulty learning to spell if they do not receive phonics instruction as well. The International Reading Association has supported the inclusion of phonics in the whole language approach to literacy. "The teaching of phonics is an important aspect of beginning reading instruction," the IRA stated in "The Role of Phonics in Reading Instruction" advisory. "...Phonics instruction, to be effective in promoting independence in reading, must be embedded in the context of a total reading/language arts program." The organization has also maintained that no single reading method will best suit a particular child. In other words, some reading methods will work better for some children more than others. Educators may draw from a variety of approaches to teaching children to read. If you feel like the approach used by your child's teacher isn't working or you're concerned about the approach's disadvantages, discuss your concerns with the teacher or a school administrator. You should remember, however, that the main goal is that your child becomes literate. With this in mind, the path children take to become readers doesn't matter as much as whether they reach the destination of literacy. If your child has been exposed to various literacy approaches and continues to struggle to read, speak to a school faculty member or your child's pediatrician about the possibility that your child may have a learning disability in reading. All children are different and learn to read at their own pace. So, just because your child isn't as skillful of a reader as his classmates or his siblings were at his age doesn't necessarily mean that he has a learning disorder. If he does have a disability, though, early intervention is the key to preventing it from halting his academic achievement.